December 27th is a date when the old meets the new. It is a time when New Year's eve approaches, while religious turns and traditions are still close enough in many cultures. There is a torn conscience in this date, as if people born on it had to learn that beliefs and convictions need to find their root in the feel, and their brain give information to connect to this flow. It may seem quite difficult for them to connect their highly strict reasoning with the fluency of beliefs in other people and the world they live in. The struggle of belief in modern technologies and old teachings is quite real in lives of those born on December 27th, and their planetary row emphasizes an inner opposition that isn’t as obvious as some of the typical issues in lives of others. They are to balance the past with the future, before turning to their natural instincts and their world on masculine-feminine energies. Simultaneous tasks in their brain and their heart often make it impossible to choose one direction of options offered. They are fast and committed to functional details, and see how things need a steady approach to tedious and tiresome elements so that the foundation for something groundbreaking can be made. This should apply to their physiology as well, and instead of focusing their energy on outer work and profession, they should make sure that their body is founded, ready and in good shape, so that incredible ideas can be brought to earth through their material existence. The second row speaks of the second task in lives of these individuals, one that creates balance between action and reaction, creativity and reflection, masculine and feminine, but this really comes as a much easier matter when their brain releases the spasm and their heart opens for the purity of childlike faith in the grand image of the Universe. This date shows that personal progress and evolution come in sharp and separate steps, as if one needed to grow, then stagnate for a while, only to grow once again. Impatience has very little room here, and those born at this time learn that there are cycles much bigger than their mind would anticipate. They find peace in knowing they are one of the same, only one human among billions, and one glimpse of time on a scale of centuries and billions of years. The purpose in lives of those born on the 27th of December seems to be – finding their purpose in life. They are to seek their inner guidance, learn, expand their horizons, travel, and do everything they can to make their lives richer and easier to reshape into loving experiences and adventures. A lot of faith is needed for their true Soul and authentic personality to emerge in full bloom, and they could travel abroad, move far away, only to release the tension of stiff beliefs in their surroundings. 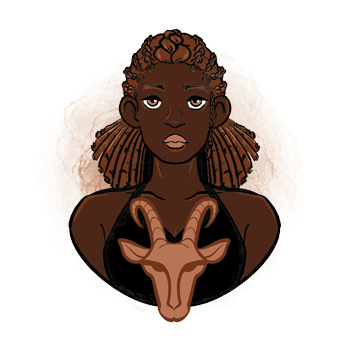 Emotions of Capricorn representatives born on December 27th are an intense rollercoaster that is rarely seen by other people. They are sensitive, thrown from one experience to another, and easily rationalize too many things in their life trying to make sense out of them, holding on to a fake sense of security given by the power of their mind. Their partner needs to be one with a big heart, willing to connect and compromise a little until the connection is made in full intimacy, and relationships have so much to teach them, if they only open up their hearts to learn. 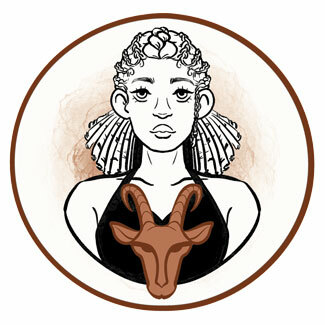 Their loyalty isn’t always as rigid and obvious as one might anticipate from the Sun in Capricorn, and marriage, engagements or traditional values don’t exactly limit their choices, but they might impose an impending feeling of guilt that overcomes their sense of personal freedom. They need to move, change scenery and change many circumstances in life to break the rut that tends to accumulate, and their partner should be the one willing to follow and still give them a sense of security with understanding. In return, these individuals open for the gentlest of bonds, and the love shared becomes immense and way beyond anything common or expected. A person born on December 27th excels in programming, aircraft industry, science, physics and all modern solutions and career choices. They work well with computers and technology, and often understand the way all sorts of gadgets work better than they seem to understand intentions of people. They become incredible philanthropists when they open enough doors along the way and release fears that might block their vision of the purpose they have in life. Selenite is an excellent stone for people born on the 27th of December, connecting them to the higher thought in ways that are subtle and potent, leading to personal transformation. These crystals give them a loving clarity of mind, while at the same time not dismissive of emotional content and the wide atmosphere of outer influences when we are a part of a large whole. It is a crystal that will cleanse the aura and activate dormant talents and frail needs in individuals who became too strict with themselves to move with childlike grace through changes they wish to make. December 27th born can be a bit tricky when it comes to birthday presents, for even when something moves them deeply, they don’t always know how to show their honest emotional reaction. Remind them of their heritage, of ancestral values and deep emotions they’ve gathered in their home. If not, take them on an airplane ride, a course in paragliding, or an activity that allows them to take a risk they wanted to take for years. Spark their curiosity and give them something to assemble or the newest achievement of technology. Smart and productive, able to connect the new with the old and incorporate modern solutions in outdated foundations, technologies and societies, they are the ones to have all the answers and see beyond what cognitive worlds of others comprehend. Rigid, emotionally stuck, they don’t move through the pain without faith and get stuck in overly rational solutions, overthinking, and bringing everything down to a mental plane where some issues cannot be resolved. This creates tearing between their body and mind, and could provoke problems with their health or psychological state. In 1571 Johannes Kepler was born, a German astronomer, astrologer and mathematician, and one of the key figures in the scientific revolution of the 17th century. Interestingly, he lived in an era when astronomy and astrology had no clear distinction, but physics (natural philosophy) was separated from astronomy. He implemented religious arguments into his work. In 1901 Marlene Dietrich was born, a German American singer and actress, known to continuously reinvent herself throughout the course of her career that span for about 70 years. She is remembered as an icon by screen stars and fashion designers, and was the one praised to know more about fashion than any other actress. In 1981 Emilie de Ravin was born, an Australian American actress who starred in Roswell and Once Upon a Time. Home schooled by her mother, she studied ballet since the age of nine, was accepted into the Australian Ballet School at fifteen, only to turn to acting during her studies. 537 – Completion of Hagia Sophia in Constantinople. 1657 – For the first time in the U. S. history, freedom of religion is articulated as a fundamental right. 1831 – The journey of Charles Darwin (born on February 12th) which leads to him formulating the theory of evolution, begins. 1935 – The first female rabbi in the history of Judaism is ordained. 1945 – An agreement is signed by 29 nations to create the International Monetary Fund. 1966 – The discovery of the largest known cave shaft in the world, the Cave of Shallows.